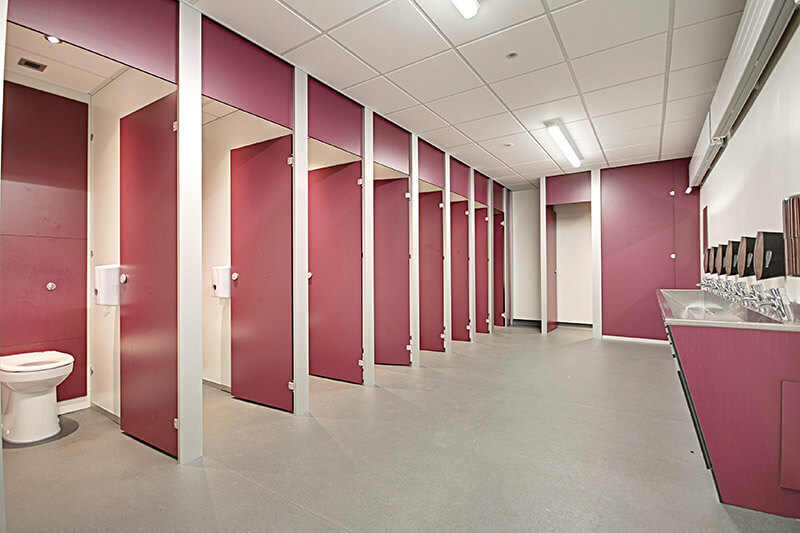 Whether you want to improve functionality in your changing rooms or update the look of your building’s interior, our simple buying process and smooth project management eliminates any stress. 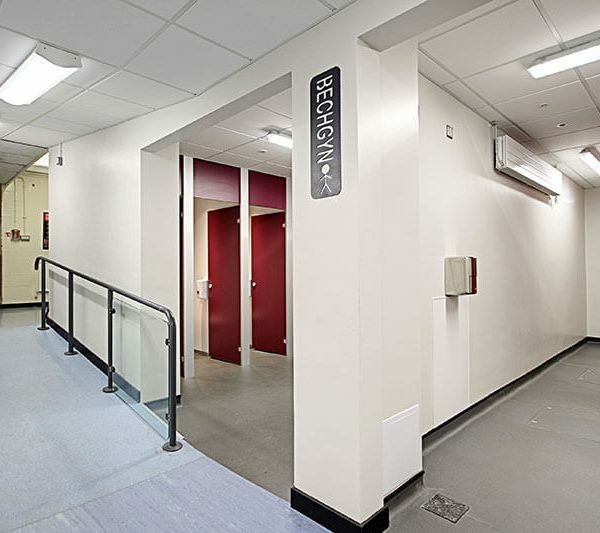 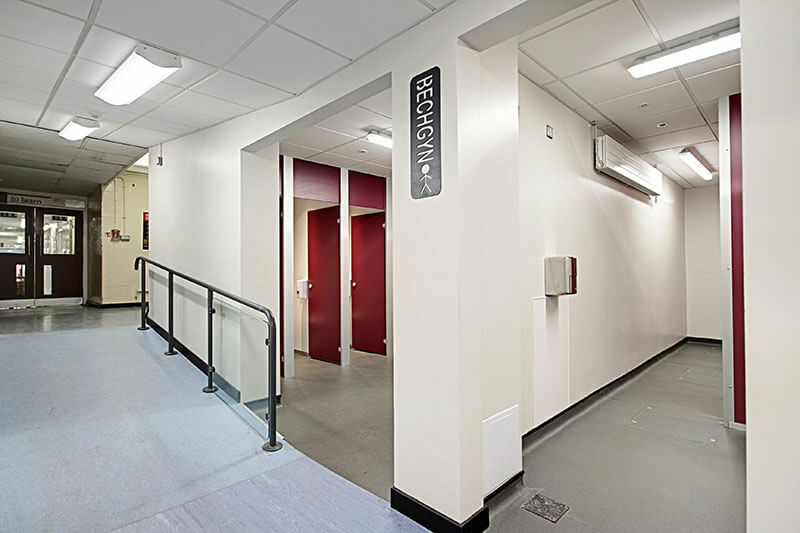 Our refurbishment services cover premises throughout Manchester, Chester and Liverpool, as well as areas nationwide, promising to deliver projects on time and in budget. 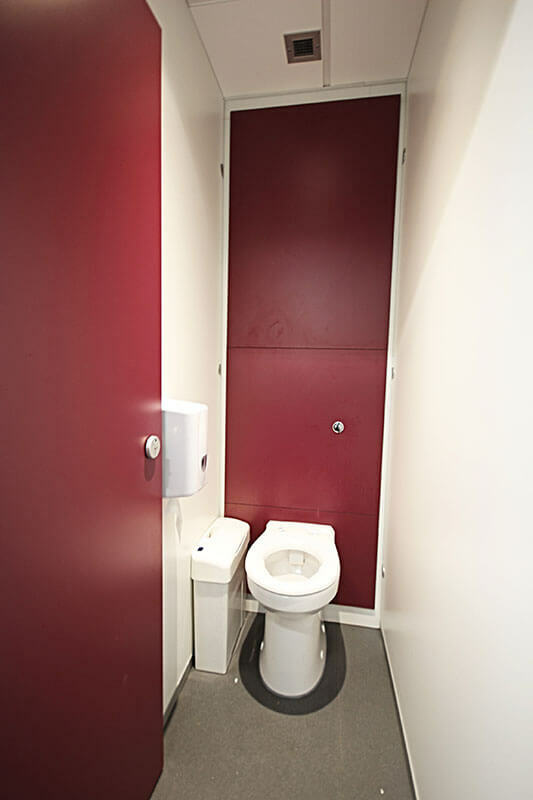 To find out more, don’t hesitate to get in touch with our expert team today. 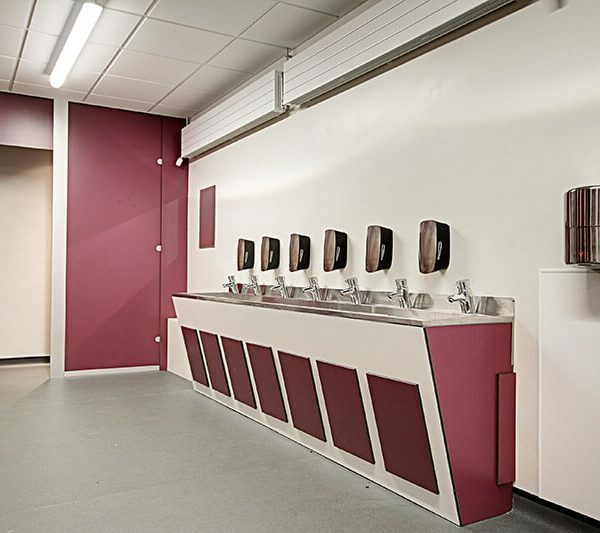 Spectrum Interiors transformed some washrooms at Mold Alun school in 2016, and they were so pleased with the finish that they invited us back to complete this larger phase of works. 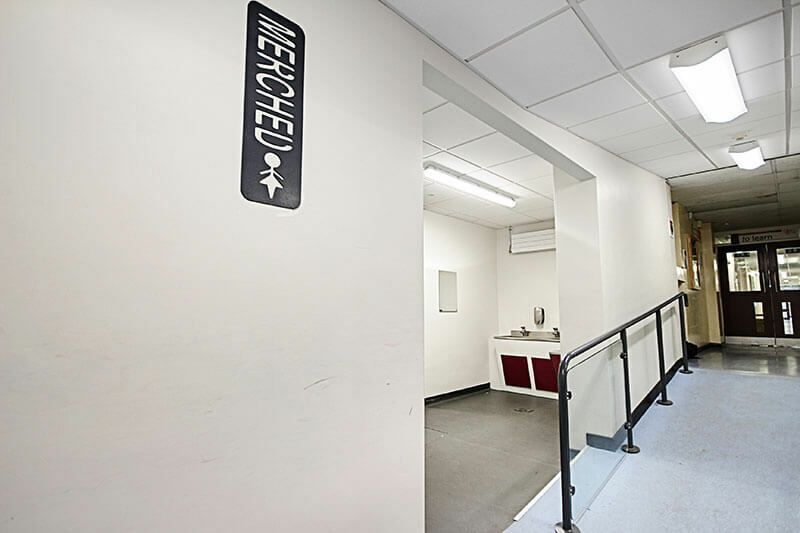 They required two sets of both male and female washrooms, along with a staff washroom. 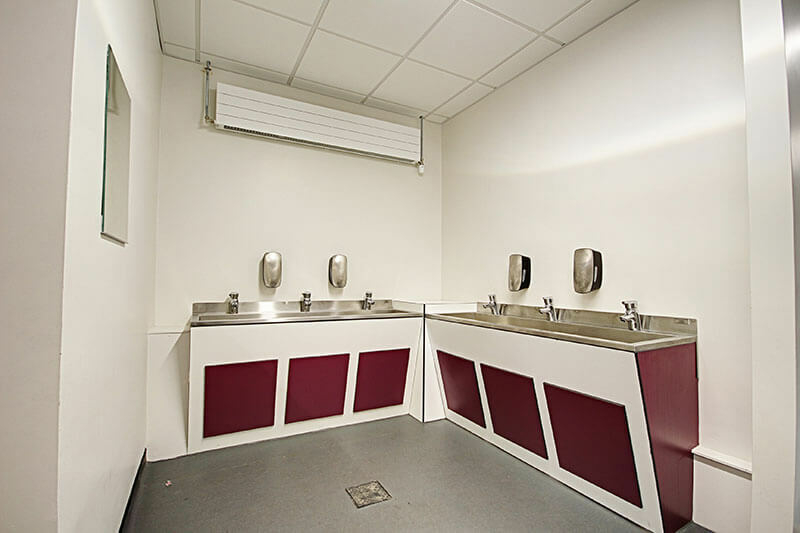 The washrooms are designed to meet a ‘unisex' brief as they offer an open plan hand wash area and a clear view to the access of each cubicle. 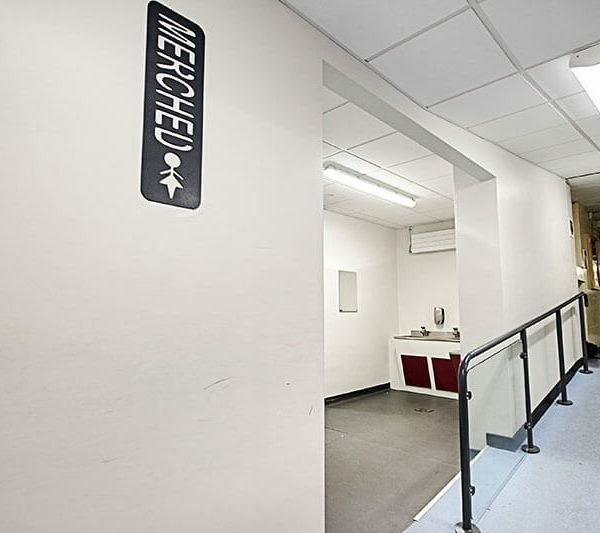 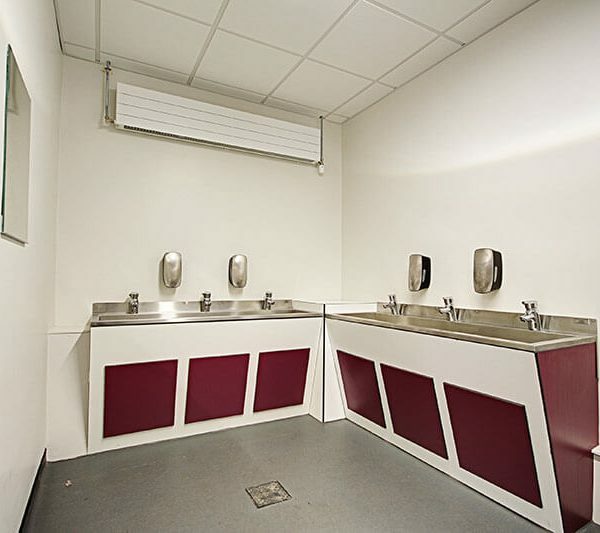 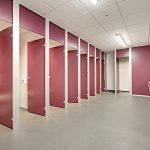 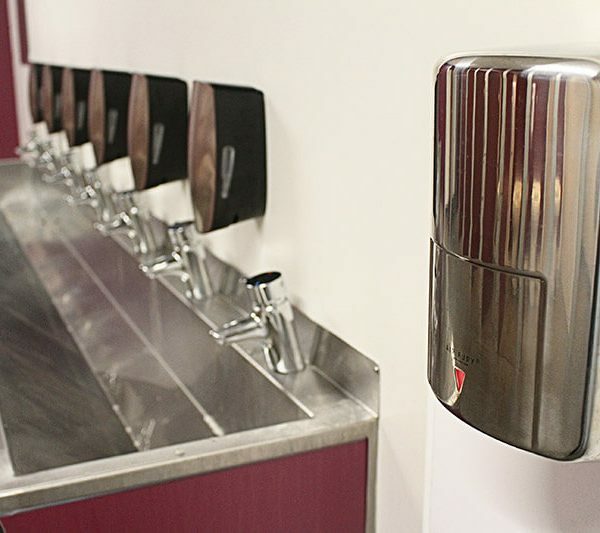 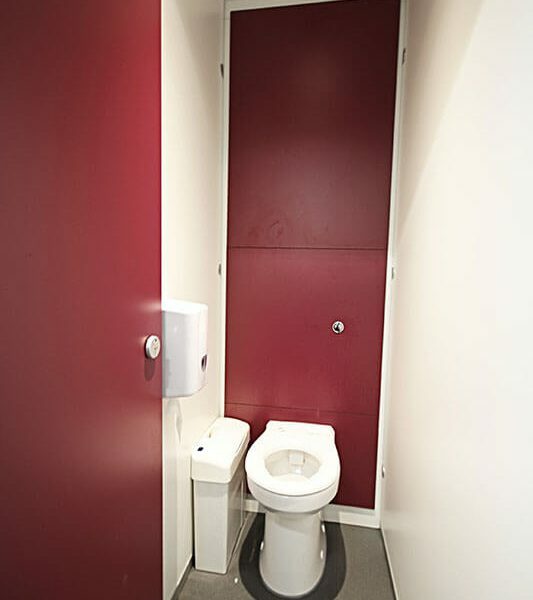 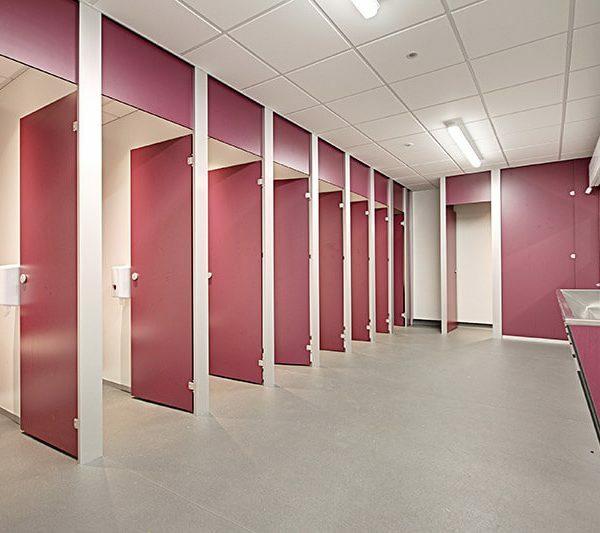 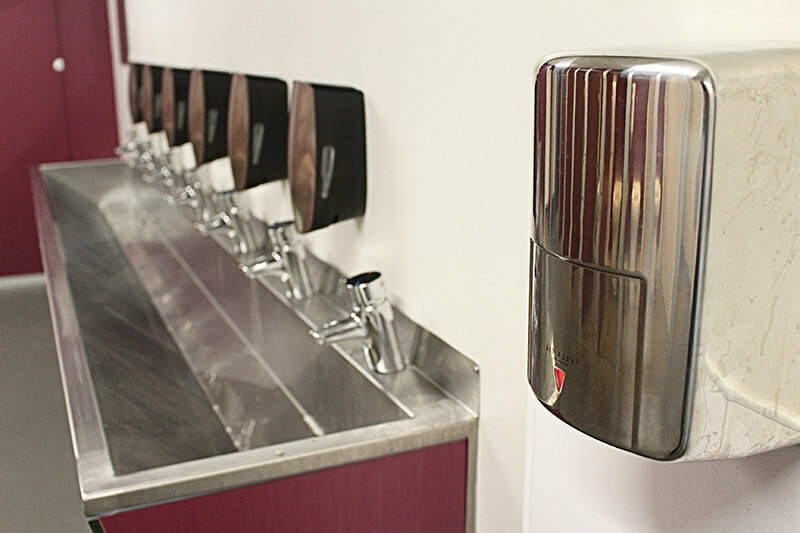 This style of washroom is becoming increasingly popular as evidence tells us that it helps to prevent bullying, whilst still providing pupils with complete privacy and the utmost of respect. 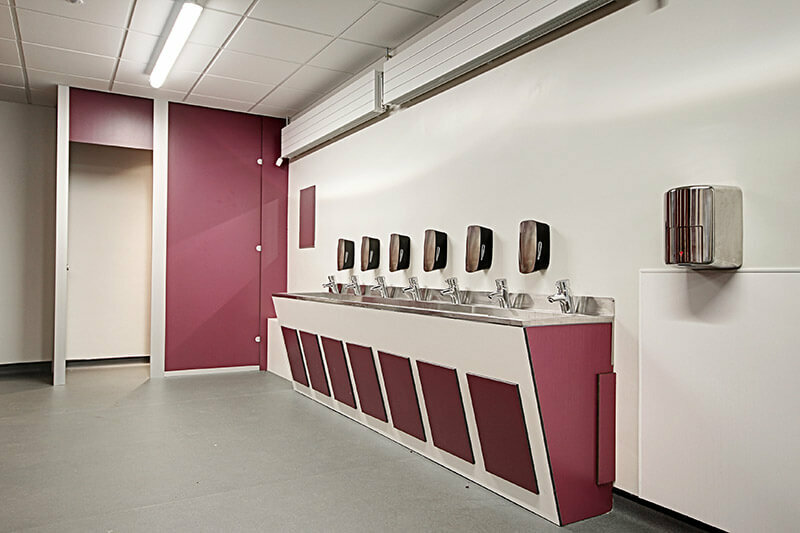 Walk through the 3D model we've created and see for yourself how this school is becoming a ‘centre of educational excellence for all’.